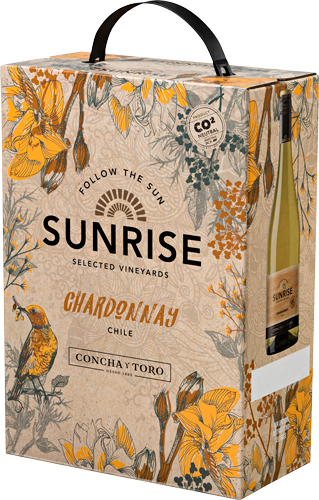 The perfect wine to accompany you on a sunny day, our elegant Chardonnay also comes in a box, making it perfect to share. Its intense tropical fruit notes of pineapple and papaya perfectly accompany light seafood or fatty fishes, such as calamari alla romana, clams or oysters au gratin, grilled salmon, or paellas. Light and fresh, it also complements sushi or Asian cuisine. Even better? Our boxed wines always use recyclable packaging. Refresh a summer day and serve this wine well-chilled. It is fresh and lively and well-balanced with a medium body. its bright energy that shines in your glass.